This tea wooden gift box is created with our solid local wood. Inside is fully lined with red felt including dividers. It will absorb people's eyes strongely after putting your tea bags. On the inside lid felt, we printed customer's logo or design with three colors at the most. Outside the lid, we print customer's logo in the same way. These two supporting hinges make this tea gift box construction much more steady. But golden small clasp make the whole tea box much more luxary. 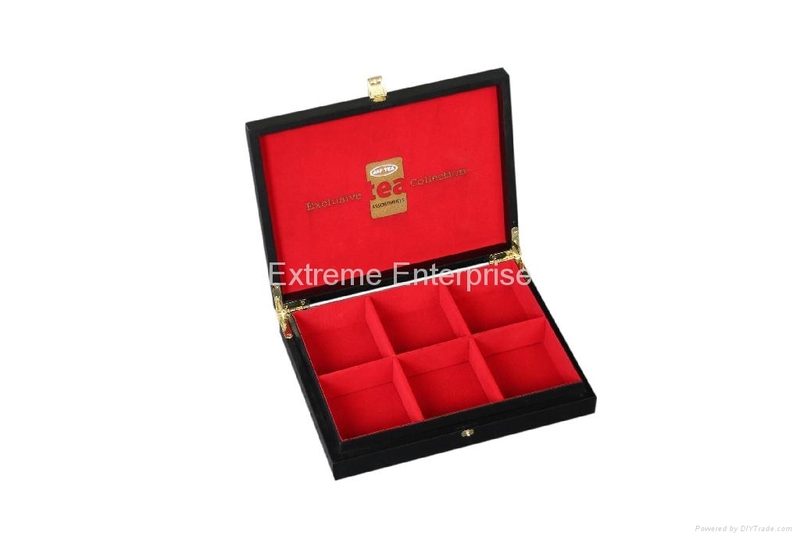 We take great pride in manufacturing the highest quality, custom made wooden tea gift boxes and tea chests for each and every customer. We have the skilled workforce and expertise required to meet any and all of your wooden box needs.